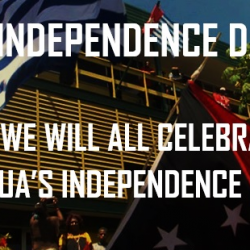 Home / Message / West Papua says Happy Independence Day Fiji! 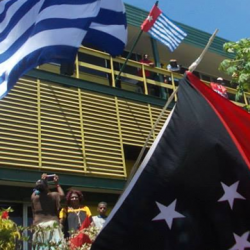 West Papua says Happy Independence Day Fiji! On behalf of the people of West Papua I would like to wish all our Fiji family a very Happy Fiji Day. As fellow Melanesians and fellow Pacific Islanders, we West Papuans are with you always in spirit and solidarity. We are proud of the incredible achievements of the Fijian people and your values of multiculturalism. We smile today with our Fiji family celebrating your Independence Day but we also shed tears as we are still struggling for our own Independence and freedom as we remain under the brutal occupation and colonialism of Indonesia. 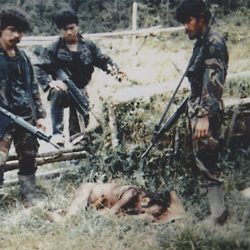 We the people of West Papua live our lives under constant terror knowing that we may be the next person to be killed, raped or tortured by the Indonesian military. 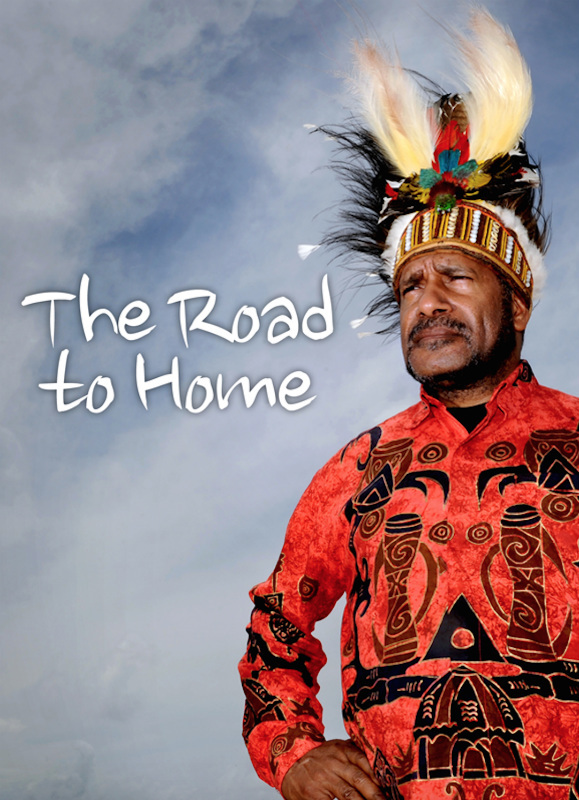 In this neglected genocide of Pacific Islanders, over 500,000 West Papuan people have already been killed. We pray today for the support and guidance of our Fiji family so that one day we may live in peace and Independence too. We pray that our Fiji family has a wonderful Independence Day full of passion, solidarity and hope and will that it will continue to progress onwards. 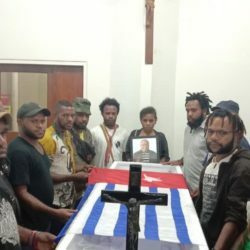 We pray that our Fiji family will continue to remember their West Papuan brothers and sisters who are still suffering under colonialism and genocide and still struggling for freedom and Independence. 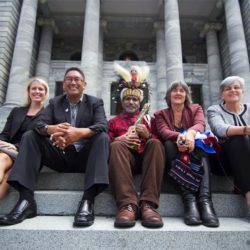 And we pray that one day, we the people of West Papua will be Independent and free too and will be able to hold hands with our Fiji family, honouring and defending the cause of freedom forever. We want to express our deepest thanks and gratitude to the people of Fiji for all their increasing solidarity and support for West Papua. 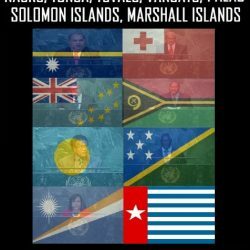 Across Melanesia and the Pacific, there is so much of this increasing solidarity from all corners of society and there are now 7 Pacific nations supporting West Papua, even at the United Nations! Much of this is being spearheaded by the people of Fiji, so passionate to defend the freedom of their West Papuan family. 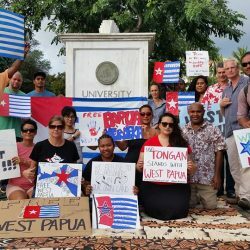 From people in the villages, to Church leaders, Rugby players, artists, musicians, politicians; all sectors of Fiji society are actively supporting West Papua’s freedom. 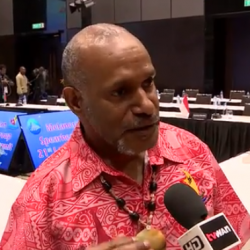 However many West Papuan people the Indonesian military kills, they can never kill Melanesian solidarity that will continue to reconnect and reunite Melanesian people all across our islands in the spirit of freedom and Independence. 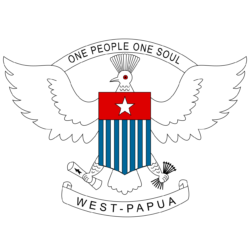 We do firmly believe as One People and One Soul that one day we will celebrate West Papua’s Independence Day too. Thank you very much all our brothers and sisters in Fiji. May God Bless Fiji. Vinaka vakalevu, Wa wa wa.